Easter Island, traditionally called Rapa Nui, in the south eastern Pacific Ocean is one of the most remote islands in the world and home to the iconic moai statues. 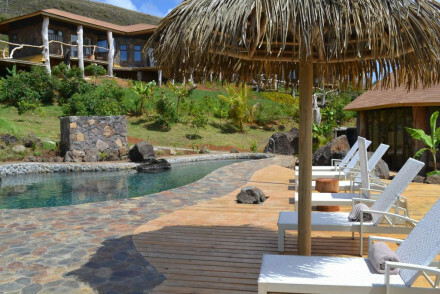 The best places to stay on Easter island provide a perfect base for enjoying and exploring this most unusual of locations and many are situated in and around Hanga Roa from where there is easy access to all its best bits. They are not cheap, but then this is undoubtedly a once-in-a-lifetime destination and due to its remoteness, it's hardly surprising. Easter island was ‘discovered’ by Dutch explorer Jacob Roggeveen on Easter Sunday of 1722. It has a rich past and was once home to a thriving Polynesian culture who constructed the 887 monumental statues. By the time of the Europeans' arrival the population had declined significantly and by the late nineteenth century there were barely more than 100 indigenous inhabitants. Multiple theories speculate on the reasons for the demise of the island’s prosperity. Things are now much improved, the general population has recovered and the island is a popular tourist destination. Easter island is not as inaccessible as you may think, with regular flights from Chile and Tahiti. There is great transport on the island and much to see and do, whether it be exploring the national park, examining the antiquities and archaeology or simply enjoying the local restaurants and shops. Easter Island is known for great diving and snorkeling and the wind surfing is pretty good too. For those who want nothing more than to kick back and relax, it boasts some wonderful stretches of white sandy beaches just asking for a lounger and a good book! The best places to stay on Easter Island are very popular so do plan ahead and book as early as you can. Situated just outside Hanga Roa, Hare NOI enjoys a sublime location with gorgeous views. The rooms are inspired by the style of the first inhabitants and the restaurant serves international cuisine. There is great walking around the Rano Kau volcano and lots of fishing nearby. 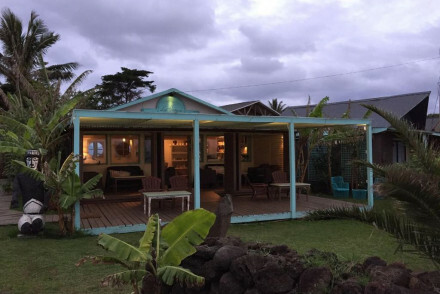 La Perouse Rapa Nui is a beachfront guest house less than one mile from the Tahai. The rooms are smart and unfussy and all ensuite. This is a simple and friendly refuge. 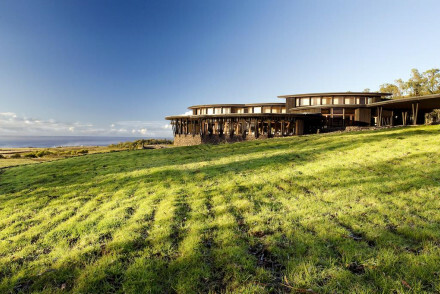 Hangaroa Eco Village and Spa is Easter island’s newest hotel, set dramatically on top of cliffs overlooking the Pacific Ocean. It lies five minutes from Hanga Roa. Rooms are chic and spacious, plus there are two restaurants and a luxury spa. This is an ideal place to escape and relax. 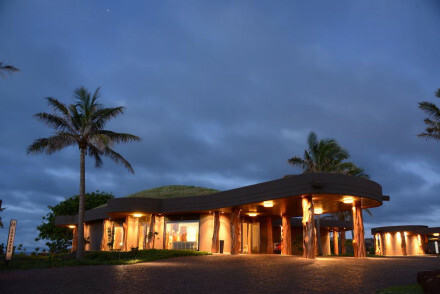 Explora Rapa Nui is a super luxury property. The rooms are of a simple design with large windows framing the scenery and view. The hotel organises curated tours and hikes which are all inclusive. The restaurant offers the very best of Chilean food and wine. The only way to get to Easter Island is by flying through the Chilean capital Santiago, which has direct flights in to Easter Island. Easter Island is fairly consistent weatherwise all year round, expect some rain at times while temperatures vary from 20 to 26 degrees. Hare NOI is located a few miles outside of Hanga Roa. The rooms are inspired by the style of the island's first inhabitants and the on site restaurant serves up wonderful international cuisine. Unwind with a trip to the spa or book yourself a massage! Lovely accommodation in a sublime location. Great walks - Go trekking to the top of Rano Kau volcano and walk around the perimeter to enjoy the incredible views! This guest house enjoys a beachfront location on Easter Island less than a mile from Tahai. It offers three rooms designed in a smart, unfussy manner and each come with a private bathroom. Be sure to explore the entire island and learn all about its historic past! A simple and friendly refuge. Sights nearby - Rapa Nui National Park is 5 miles away. Hangaroa Eco Village & Spa, Easter Island's newest hotel, sits high up on a dramatic cliff facing the Pacific Ocean and is 5 minutes from Hanga Roa itself. It features chic and spacious rooms, two restaurants and extensive spa facilities. Forget about all your worries at this peaceful coastal spot. Sights nearby - The spectacular Tahai Ceremonial Complex archeological site is only a mile away and is a must visit! A luxury property on the most remote inhabited island in the world. Simply designed rooms lay focus on the views with large windows framing the scenery. Curated tours allow for real island exploration. On site it's pure luxury with a gorgeous pool, superb Chilean cuisine and wine list. Fabulous. Sights nearby - Explora Rapa Nui offers all-inclusive packages to explore Easter Island. Active Holiday - A secluded property offering numerous outdoor activities. Great walks - Take any number of the curated guided hikes on offer.